9 TO 5 COMPUTER: Global Value-Added Distribution of new, used and refurbished computer peripherals by a family-owned and operated company since 1979- international distribution of computer related spare parts and peripherals. 3COM, ADAPTEC, APC, APPLE, CISCO, COMPAQ, DEC, DELL, EXABYTE/TANDBERG, GATEWAY Computer Parts, HP, IBM, Overland Data, QUANTUM, SEAGATE, Security Engineered Machinery, SUN and other major branded products as well as a MAJOR focus on Mass Storage related drives, media, storage racks, tri-optic barcode labels, libraries, autoloaders, duplicators, jukeboxes, HBA's, JBOD, Raid, SAN, NAS and software solutions. Also offering: drive rental, repair, on-site maintenance, advanced exchange, and technical support. When you need End-Of-Life, Discontinued, Obsolete, Legacy, Obscure, Proprietary, Customized or otherwise difficult to locate spare parts, call 9to5computer.com. 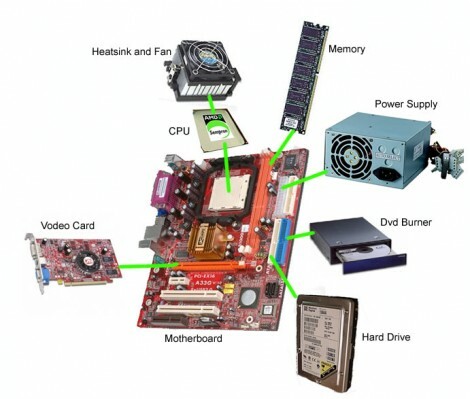 We provide computer parts, discount computer parts, replacement parts, upgrades, storage solutions, discontinued parts, spare parts, components, end of life peripherals and systems. We provide new used and refurbished wholesale parts; hard drives, tape drives, SCSI controllers and more. Computer office products and supplies are our specialty. You can click on the computer manufacturer in the first section or click on the category of parts you are looking for in the bottom section. ASTI Database : In January 2009, Alliance Storage Technologies Inc. (ASTI) acquired all of Plasmon's assets and continues to manufacture, develop and support Plasmon Libraries, UDO1/UDO2 media and parts. Additionally, ASTI is providing global maintenance services for the full line of Plasmon-brand products. With this acquisition, ASTI positions itself as an archival data storage leader and exclusive manufacturer of Plasmon product lines and UDO technology.